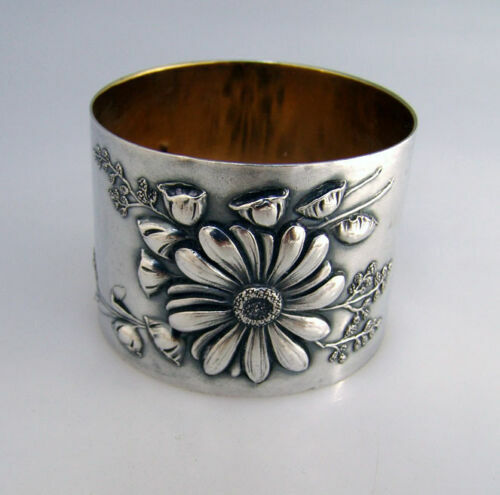 $289.0 Crocus aka #3 by Evald Nielsen Sterling Silver Napkin ring w/ Blossom 2"
Buy: $599.99 4 Vintage Clementi Fabbrica Argenteria SRl 800 Silver Napkin Holders W/ "BO 1"
$159.0 Strasbourg by Gorham Sterling Silver Napkin Ring #82345 .80oz. 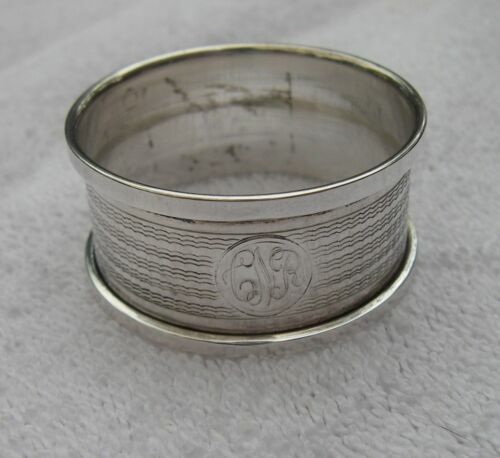 1 1/8" x 1 1/2"
$245.0 SILVER PLATE NAPKIN RING ~ SQUIRREL w/ GLASS EYES ~ EXCELLENT CONDITION! 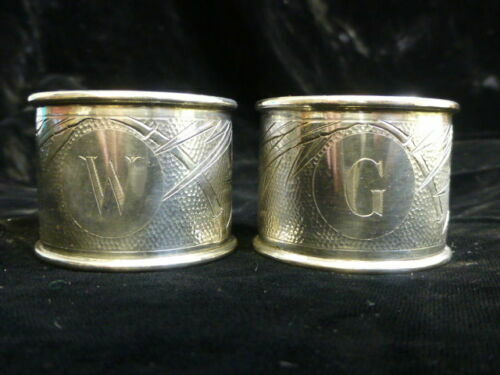 $159.0 Francis I By Reed and Barton Sterling New Script Napkin Ring Oval 2" x 1 1/4"
$65.0 Wallace Grand Victorian Sterling Silver Napkin Clip - 2 1/4"
$125.0 SILVER PLATE NAPKIN RING ~ NEWSPAPER BOY ~ LARGE SIZE ~ EXCELLENT CONDITION! 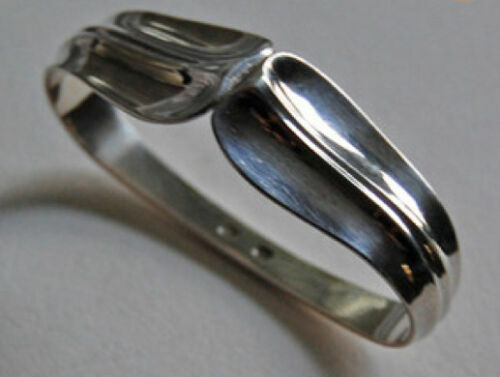 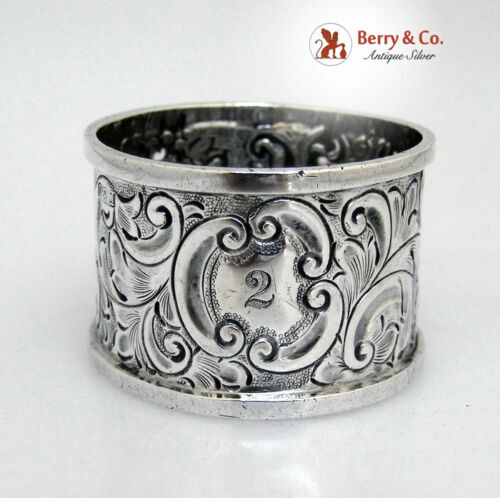 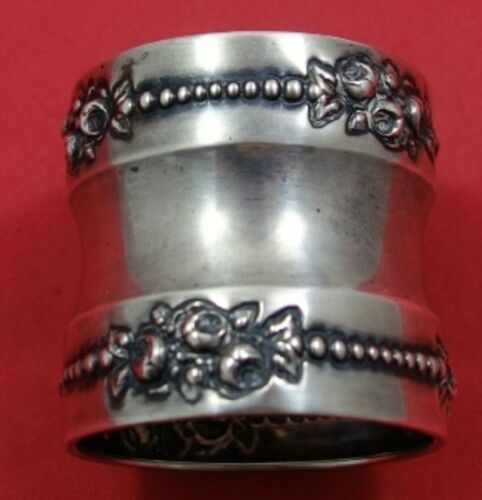 $125.0 SILVER PLATE NAPKIN RING ~ DUTCH GIRL ~ LARGE SIZE ~ EXCELLENT CONDITION! 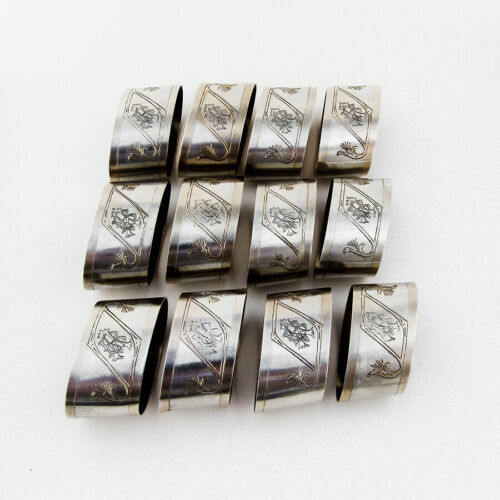 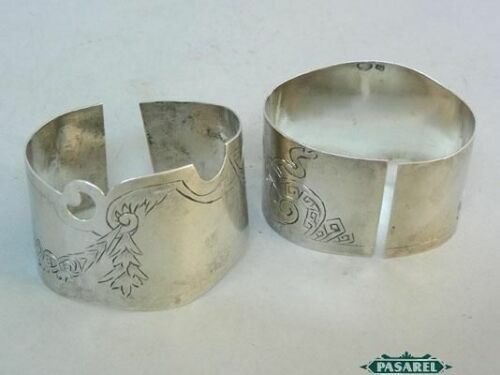 $280.0 A pair of Russian 84 silver napkin rings Russland silber argent Russe 76 gr. 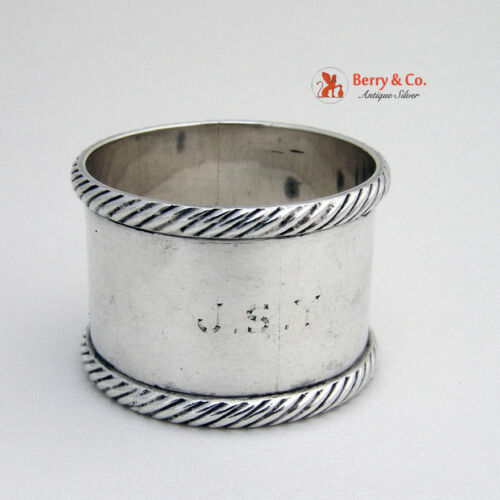 $134.25 Birmingham Eng. 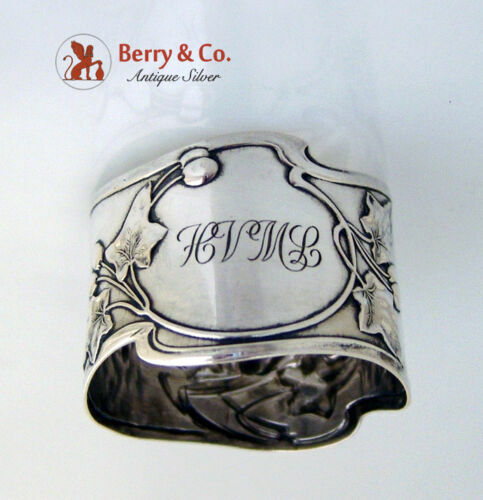 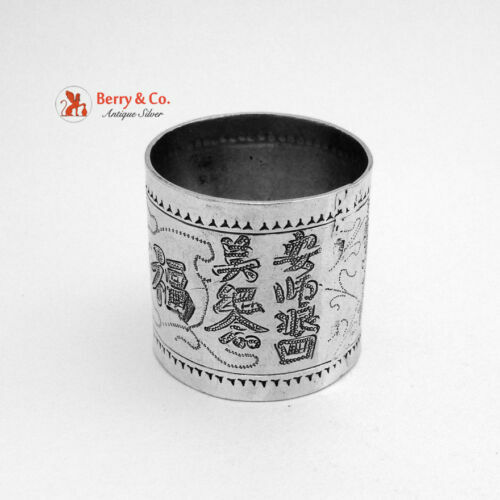 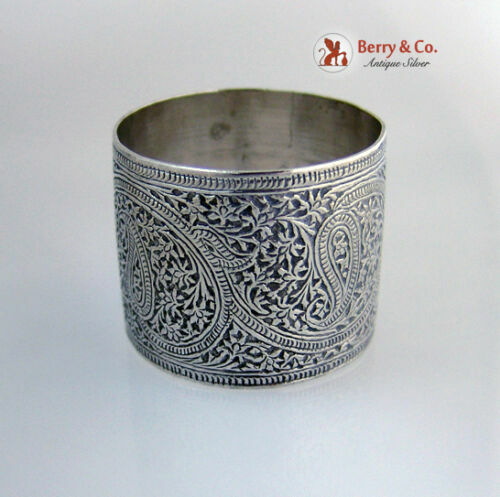 Saunders & Shepard Silver Napkin Ring - Mono - A.T.
$24.99 ANTIQUE SCROLLED GERMAN SILVER NAPKIN CLIP w/ letter E MONOGRAM by E. & J.B.
$65.0 Wallace Sir Christopher Sterling Silver Napkin Clip - 2 1/8"
$189.0 Lancaster by Gorham Sterling Silver Napkin Ring #B211 .91oz 1 3/4" x 1 3/4"
$59.0 Gorham Medici Sterling Silver Napkin Clip - 1 7/8"